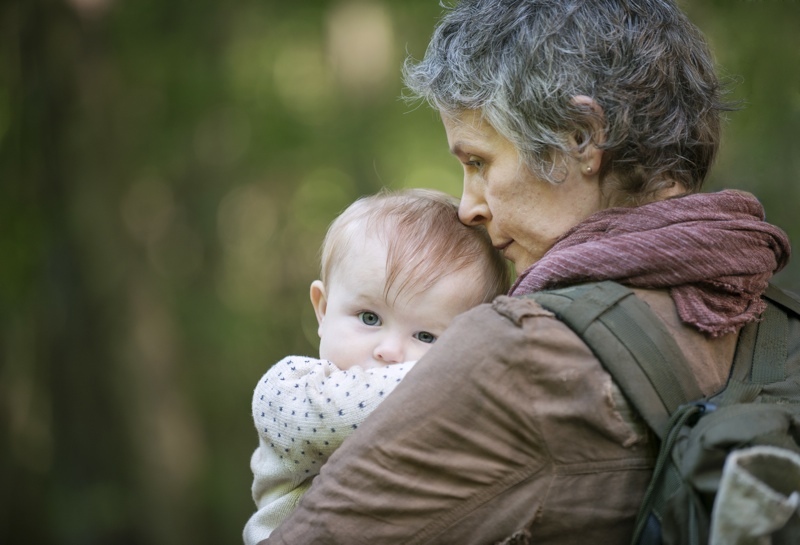 If you tuned into The Walking Dead’s season 5 premiere last night then you were probably shocked by the actions of the Terminus residents in addition to cheering for Carol and shedding a tear or two over those special reunions. We’ve got a special Q&A session to share with you, courtesy of our friends at AMC, with Dead stars Andrew Lincoln, Norman Reedus and of course Melissa McBride. Under discussion, that pivotal first episode, our characters’ state of mind going forward, what’s next for Rick and co. and why the shadow of character death is still a very real thing for all of the cast. 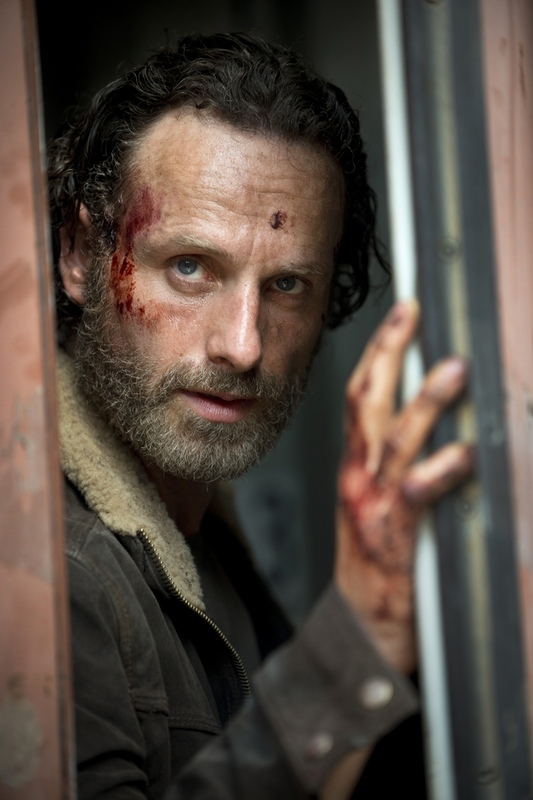 TELL US WHERE RICK IS AT THE BEGINNING OF SEASON FIVE? Rick is very much back. He has made peace with the fact that there is a very brutal side to him, but he has a humane side too. Both are acceptable to him in his worldview. Rick is one of these people who keeps finding himself at the edge of this immoral precipice, and throws himself off of it for the sake of his family and his friends who are now family. SO RICK IS AT PEACE WITH A LITTLE BIT OF MADNESS INSIDE HIM? The most exciting thing this season is you meet a man who is trapped in the most dangerous situation he has ever been in, and yet he is at his most confident and calm. I’m interested in the guy who keeps reinventing his moral code to suit his needs. When that comes up against other people in the group or in the world, what does that cause? WHAT DID YOU THINK WHEN YOU READ THE PREMIERE EPISODE? My first thought was how are we going to shoot this?! My second thought was how is this going to fit in 47 minutes?! The first three episodes are the strongest we’ve ever had. It’s an astonishing, kinetic, thrill ride, but with incredibly detailed character development and really smart storytelling. It’s nothing short of insane. I truly feel it is our best season yet. It’s great to come into a show Season Five and be more excited about it than ever. That it is genre. I don’t see it as genre. It is none of the stereotypes of genre. It is the opposite. It is about human beings’ adaptability. ARE YOU AFRAID OF MORE CHARACTER DEATHS THIS SEASON? Everyone reads the scripts going ‘there are a lot of us here…’ We all live in fear. I read the first script – it’s insane. I read the second script – and it’s insane. It is one of those scripts you have to put down every couple of pages to think about it. Fans are going to freak out. THE PREMIERE EPISODE IS WRITTEN BY SCOTT GIMPLE. The way Scott Gimple puts them together is so genius. Every little thing means something. He is really good at throwing people in different directions and you never exactly know where you are going to land. When you speculate what is going to happen, it ends up being completely different. HOW DID DARYL’S TIME WITH BETH CHANGE HIM? It changed him a lot. Beth gave him hope that the world wasn’t as bad as he was thinking it was. Even if it is, she hinted that maybe it doesn’t have to be. DO YOU THINK DARYL COULD BE THE LAST MAN STANDING? That is probably his greatest fear – to be left alone. When you see characters that have been through a lot and they are trying to be better human beings – that is uplifting. He is definitely an underdog. I can see how people relate to him. WHERE IS CAROL MENTALLY AT THE START OF SEASON 5? The great thing about Carol is that she is prepared to do anything. It’s coming to terms with the fact that this is the way the world is. This is what you have to do now. She has come to a place of courage to be able to do those tough things. It comes from a place of caring. WHAT IS IT LIKE TO BE SHOOTING IN THE CITY? They are going back to the place they were running away from. I love all the different locations we have this season. WHAT SURPRISED YOU MOST LAST SEASON? Carol never expected that Tyreese would forgive her. upon reading that melissa mcbride said “carol never expected that tyreese would forgive her”, i can’t help but wonder if tyreese truly did forgive her??? after all, when talking with martin the meathead, tyreese refers to judith as a “friend”, but makes it a point to not bestow that same title on carol. then, upon hearing the explosion from terminus, martin refers to carol as “your friend”, tyreese looks at him with a rather mean face, so then martin corrects himself and says “that woman”. it seems to me that there still might be some tension and hard feelings between tyreese and carol perhaps??? Thank you for Setting Rick on his feet and letting him become a leader and protector. He has been through a lot and needs to be the experienced man he has become from it all. Also, I am glad Carol can hold her head up and know she has made the right decisions in what she has done. Damn strong woman! I like that in her, considering where she has been in life. She has really taken control. Also, thanks for all the cast having such great characters. Keep up the great work! I believe Melissa McBride should be nominated for a Golden Globe…she has been wonderful as of late.